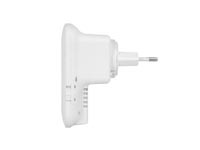 Use the EM4597 Concurrent AC1200 Dual Band WiFi Repeater to boost the wireless network coverage for both the 2.4GHz and 5GHz band. Or upgrade your single band network to a dual band network. The crossband technology ensures an optimum data throughput and network speed: 300+900 Mbps. Installing the EM4597 is very easy with the help of the WPS button or installation wizard via your tablet and smartphone. The WiFi signal indicator helps you to find the right location for the repeater. Does the signal of your wireless network not reach your sofa or garden seat? 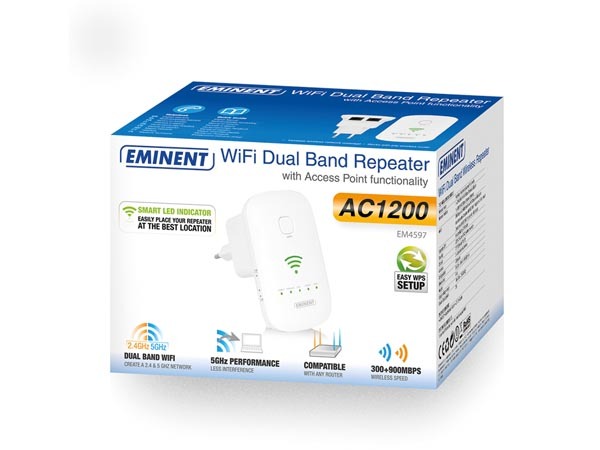 The EM4597 Concurrent AC1200 Dual Band WiFi Repeater increases the wireless network coverage of your wireless router on the 2.4 GHz and 5 GHz band. When using the 5 GHz frequency you will face less interferences because the band is less crowded and involves hardly any failures. 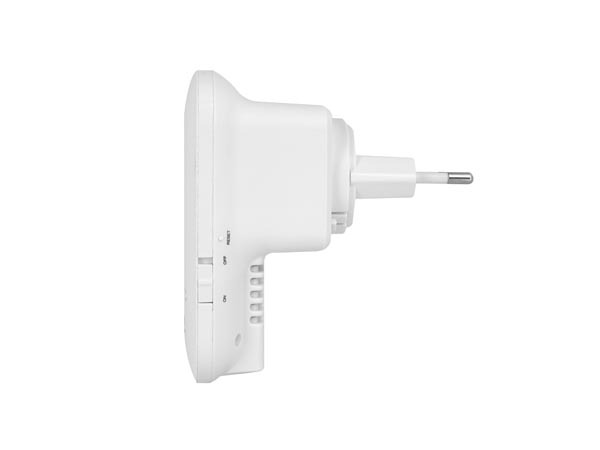 The EM4597 Concurrent Dual Band WiFi Repeater is using the crossband technology. This technology uses different bands for sending and receiving data packages. 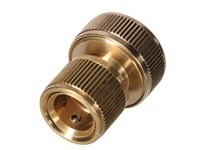 For example: the 2.4 GHz band is used for the communication between the router and repeater. The communication between the repeater and mobile devices (laptops, tablets and smartphones) is using the 5 GHz band. You will get the maximum possible speed! When your 2.4 GHz network is suffering from many interferences, it is useful to use the 5 GHz band. Do you own a Single Band router? The EM4597 Concurrent AC1200 Dual Band WiFi Repeater upgrades your single band router to a dual band router. 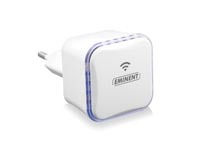 The EM4597 WiFi Repeater receives the 2.4 GHz band from your current router and converts it to both a 2.4 GHz and 5 GHz output. Do you find it difficult to find the right location for the repeater? 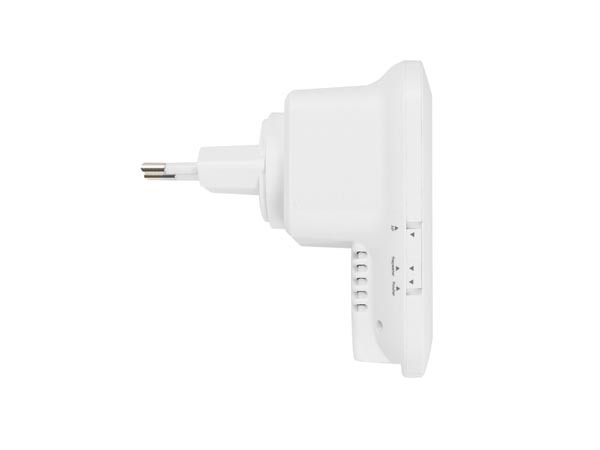 The EM4597 has a special WiFi signal indicator which helps you to find the best location for the repeater. 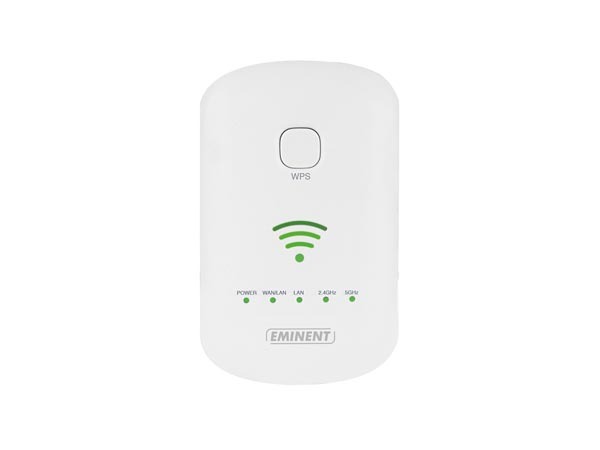 The EM4597 supports WPS (WiFi Protected Setup). Installing the repeater is very easy. First, press the WPS button on your router. Then, press the WPS button on the Dual Band WiFi Repeater. Do you prefer installing the repeater manually? The installation wizard guides you through the installation process. You can even use your tablet and smartphone. How easy is that? The EM4597 Concurrent WiFi Repeater uses the AC1200 standard, but the repeater is backwards compatible with the 300N standard which is commonly used on all routers. This makes the Concurrent Dual Band WiFi Repeater universally applicable. The EM4597 WiFi Repeater can function as a Dual Band access point. 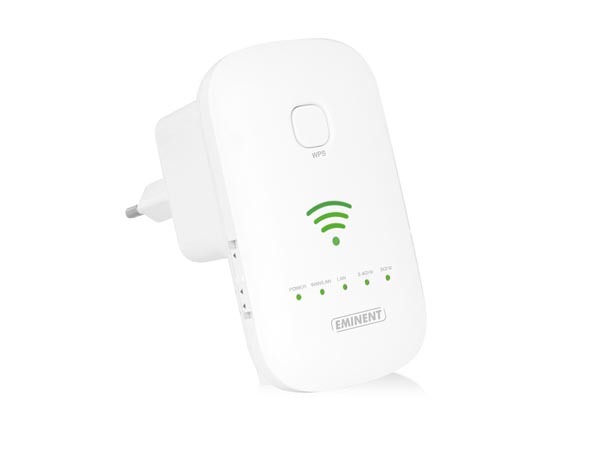 An access point converts a wired network connection into a wireless signal. 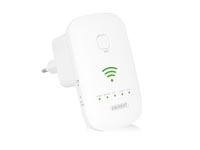 You are able to make use of a WiFi signal in places you normally could use a wired connection only. 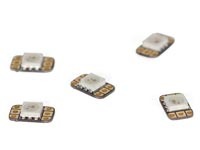 The EM4597 can also be used as a wireless bridge: wired connection for two devices to the network without wiring your home. 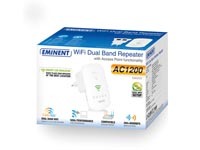 Additionally, the Concurrent AC1200 Dual Band WiFi Repeater can function as an access point and router too.